Pierce Brosnan to Lead in Aaron Kaufman’s ‘Urge’!!! Pierce Brosnan has had dozens of roles in his film career. He’s been James Bond, a master criminal, Robinson Crusoe, he sung for us in ‘Mamma Mia‘ and a wise centaur in ‘Percy Jackson & the Olympians: The Lightning Thief‘. He can now add to that list designer drug creator. Brosnan inked a deal with Aaron Kaufman in his directorial debut, ‘Urge‘. The dramatic thriller tells the story of a group of friends vacationing together on an island, when they decide to take part in a new drug designed to make them lose their ability to control their urges. Enter Brosnan as the drug’s creator and gate-keeper of the island. Kaufman has directed and written a short, ‘Volcano‘, in post-production right now, but has commonly worked as producer or executive producer in his career thus far. ‘Machete Kills‘, ‘Chef‘, ‘Flock of Dudes‘ and ‘Sin City: A Dame to Kill For‘ are a few of his projects. This brings Brosnan back together with the freshman director having worked together in 2009’s ‘The Greatest‘. In addition to helming the story, he co-wrote the script with Jason Zumwalt (‘Flock of Dudes‘) and Jerry Stahl (‘Permanent Midnight‘). Filming for ‘Urge‘ begins this October in New York. Brosnan is in ‘The November Man‘ which is in cinemas, currently. The first month’s gross earnings from the film are $24,384,208, a stellar start for the CIA thriller. Brosnan is great in any capacity, as I have yet to find a project I didn’t like him in. One of my favorite performances of his comes from the 2011 mini-series ‘Bag of Bones‘. 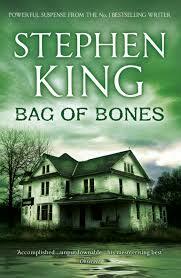 Based on the 1998 novel from horror-master Stephen King. It wasn’t until I was researching this article that I discovered the similarities to Brosnan’s personal life and that of his character, Mike Noonan. In the 2-part film, Noonan is recovering from the sudden death of his wife. Brosnan’s wife of eleven years, Cassandra Harris, died in his arms of ovarian cancer. This had to have given his portrayal of Noonan a whole different level of acting experience. I had no idea he had suffered such loss. The movie is riveting, full of mystery, suspense and intrigue. All the signature adjectives required in a Stephen King novel, and they transfer to screen extremely well. It’s on Netflix right now, so check it out! This entry was posted on Monday, September 29th, 2014 at 7:39 pm	and is filed under Books, Film, News. You can follow any responses to this entry through the RSS 2.0 feed. You can skip to the end and leave a response. Pinging is currently not allowed. « ‘Clerks 3’ Is No Longer Kevin Smith’s Great White Buffalo!!! For a long time I've been walking down life's road with my two pals, Bad Luck and Bad Choices. Fortunately I'm a big believer in new beginnings, new friends, and running from my problems. So one day I decided to head for the island. Aloha, my name is Jack.